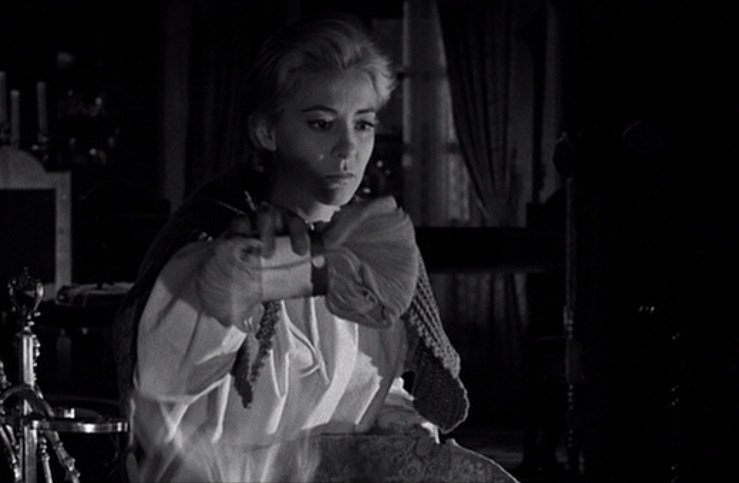 This week, some frames from Luis Buñuel‘s 1961 film Viridiana, starring the beautiful Silvia Pinal. 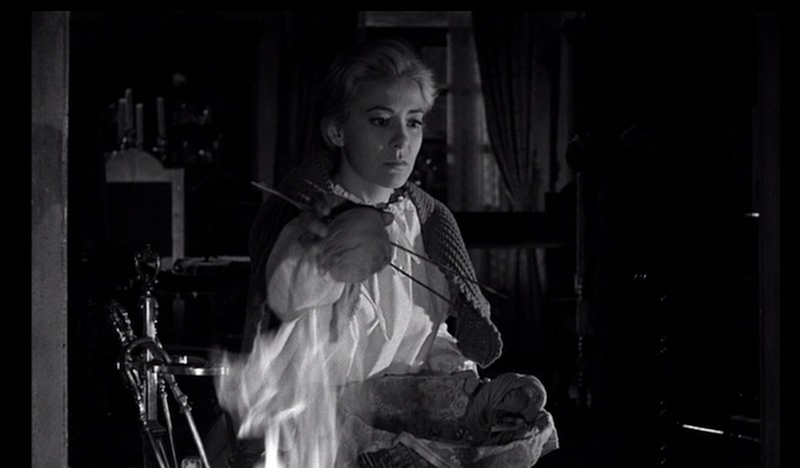 But instead of doing some sweet sleep-knitting with her nocturnal stash, she immolates it in the fireplace! Those poor, sacrificial skeins! Oh, the human-knitty! I can’t look. Oh, wait… yes I can! This entry was posted on April 28, 2014 by croshame. It was filed under Hookin' At the Movies, Movie Still Monday .